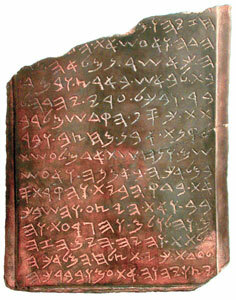 ISRAEL - The Israel government has appealed Jerusalem Judge Aharon Farkash’s decision in the case of the “Jehoash” inscription, an inscription which, if authentic, would be the only surviving royal Israelite inscription. In the 5-year trial, the so-called “forgery case of the century,” the government alleged that the 15-line “Jehoash” inscription was a forgery; the judge ruled that the government had not proved its case and declined to convict the defendant, Oded Golan. ROUMANIE – Orastie Mountains - The National History of Transylvanian History will coo-ordinate a four-year research and restoration of Dacian fortresses in Orastie Mountains. Mediafax quoted a press communiqué as saying this is the biggest archaeological project in Romania so far, financed by the Culture Ministry and the National Heritage. The institutions joining the project are the “Babes Bolyai” University, The National Museum of Romanian His­tory in Bucha­rest, the Mu­seum of Dacian and Roman Civi­lization in Deva and the Cluj-Napoca Institute of Archaeology and Art History. 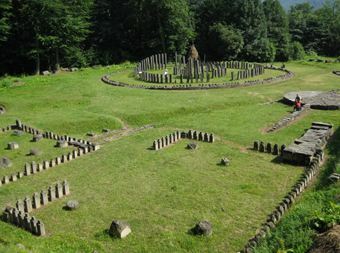 In 2012, the archaeological exca­vations at Sarmizegetusa Re­gia got RON 3 M, and in 2013, Piatra Rosie, Costesi, Blidaru and Cetatuie will be among the ex­plo­red areas. “The four-year program will consist of systematic and pluri-disciplinary archaeological research in the Dacian fortresses in Orastie Mountains, monuments part of the UNESCO heritage fund. We wish this research program to become a model with respect to the value of vestiges uncovered and the UNESCO status of the ancient monuments in the area of the Osrastie Moun­tains,” reads the communiqué. The research includes identifying Dacian vestiges by geo-radar and reconstituting their architecture without scrabbling, micro-flora analysis and a restoration plan given the fortresses being part of the UNESCO heritage fund. ROYAUME UNI – Norton - The public visiting Stapleton’s Field in Norton last Saturday when an open day was held at the site, which is believed to be 5,000-years-old. Norton Community Archaeology Group organised the annual event, now in its sixth year, having spent July and August excavating. Among the voluntary group’s discoveries was a Roman enclosure, with indications that it was used for iron production. 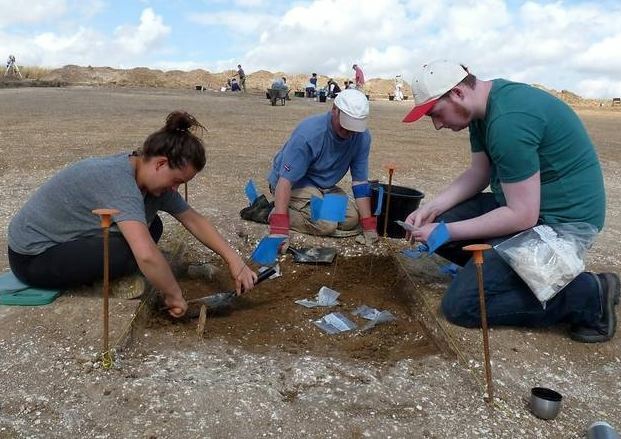 The dig was led by archaeologist Keith Fitzpatrick-Matthews from North Herts District Council with about 5000 artefacts of flint, pottery and bone discovered. INDE – Bhopal - The state directorate of archaeology, archives and museums would be conserving the historic Moti Mahal, the adjoining gateway and the durbaar hall of the nearby Sadar Manzil. A part of roof of the 150-year old Moti Mahal had collapsed on July 27, weakening the structure and the adjoining gateway connecting Moti Mahal with the Shaukat Mahal. Moti Mahal and Shaukat Mahal are parts of the important structures forming the royal quadrangle surrounding the Iqbal Maidan (earlier Khirniwala Maidan). ROYAUME UNI - Wemyss Caves - Save Wemyss Ancient Caves Society (SWACS) has made a fresh discovery of mysterious wall markings. The area is known for Pictish incised carvings and the latest find could date from the 12th century. The East Wemyss coastal area boasts 12 caves – the largest grouping in northern Europe – which have more carvings than all others in Britain combined. SWACS secretary Moira Cook said the symbols were found in the Well Cave, below McDuff Castle – which was not previously thought to contain Pictish carvings. “We have asked experts for their opinion,” she added. “There is a possibility of some sort of Templar connection – it’s all very exciting.’’ There was little in writing about the early Medieval period in Scotland, said Mr McFarlane, and therefore only a general framework of Pictish history. “That’s why the archaeological study of the internationally-important Wemyss Caves has the very real potential to revolutionise our understanding of the Pictish period,” he added.